Created from premium, Japanese spring steel, these springs will allow the trouble-free use of more demanding, higher performance cams like the Hot Cams Gold Series and Builder Series camshafts. Includes valve springs, base washers, and retainers. Required with Stage 2 and Stroker Raptor cams (part numbers 4005-2 and 4050-3). Exhaust coil bind: 0.7 inch; exhaust install force: 55 pounds; exhaust install height: 1.205 inch; exhaust maximum valve lift: 0.45 inch; exhaust open force: 145 pounds; exhaust open height: 0.345 inch; exhaust rate: 270 pounds/inch; intake coil bind: 0.7 inch; intake install force: 55 pounds; intake install height: 1.205 inch; intake maximum valve lift: 0.45 inch; intake open force: 145 pounds; intake open height: 0.345 inch; intake rate: 270 pounds/inch. 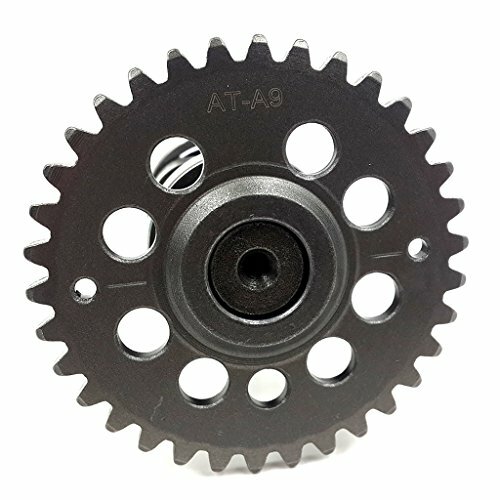 For Yamaha Raptor 660 2001-2005. Good street performance with stock converter, choppy idle. Biggest cam for inboard/outboard. Good for ski, economy and some performance. Created from premium, Japanese spring steel, these springs will allow the trouble-free use of more demanding, higher performance cams like the Hot Cams Gold Series and Builder Series Camshafts. Exhaust spring max lift at OE installed height 0.434 inch intake spring max lift at OE installed height 0.371 inch. Exhaust coil bind: 1.051 inch; exhaust install force: 41 pounds; exhaust install height: 1.525 inch; exhaust maximum valve lift: 0.434 inch; exhaust open force: 172 pounds; exhaust open height: 1.091 inch; exhaust rate: 312 pounds/inch; intake coil bind: 0.906 inch; intake install force: 33 pounds; intake install height: 1.318 inch; intake maximum valve lift: 0.371 inch; intake open force: 107 pounds; intake open height: 0.946 inch; intake rate: 199 pounds/inch. For Honda CRF 250R 2004-2009. 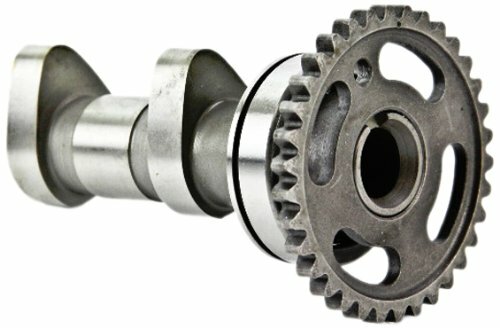 The Hot Cams Stage 2 Drop-In Camshaft is designed, dyno proven and made in the USA from 8620 billet, case-hardened steel making it one of the most economical, reliable and easy to install ways to add a 5-10 percent power gain. 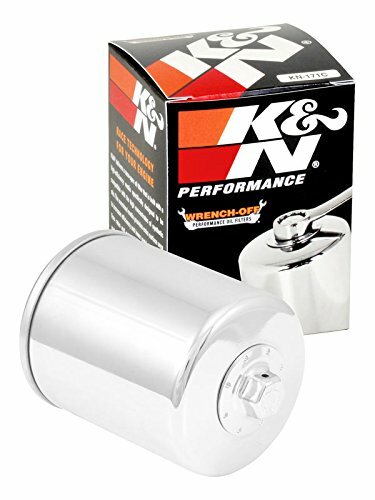 Improved peak torque and upper 1/2 RPM horsepower with the same low RPM torque as the stock cam. Stock valve springs are OK, supplied with decompression mechanism. Camshaft Specifications: Ex. Duration (Degrees at 1mm): 223.00; Ex. Lift (mm): 8.51; Ex. Lobe Center (Degrees): 106.00; Ex. Valve Lash (mm): .15; In. Duration (Degrees at 1mm): 223.00; In. Lift (mm): 8.51; In. Lobe Center (Degrees): 107.00; In. Valve Lash (mm): .15. 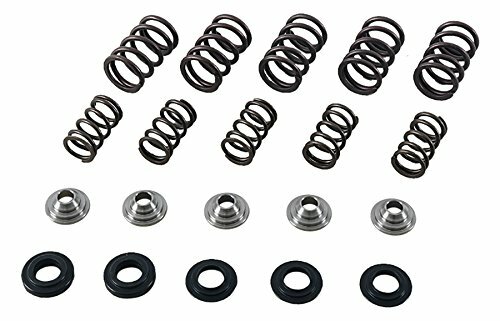 Fits: Polaris Hawkeye 400 2011-2014, Ranger 400 4 x 4 2010-2014, Ranger 500 2 x 4/4 x 4 2006-2013, Scrambler 500 2 x 4/4 x 4 1998-2012, Sportsman 400 4 x 4 2008-2014, Sportsman 450 HO 2006-2007, Sportsman 500 4 x 4 2001-2013. 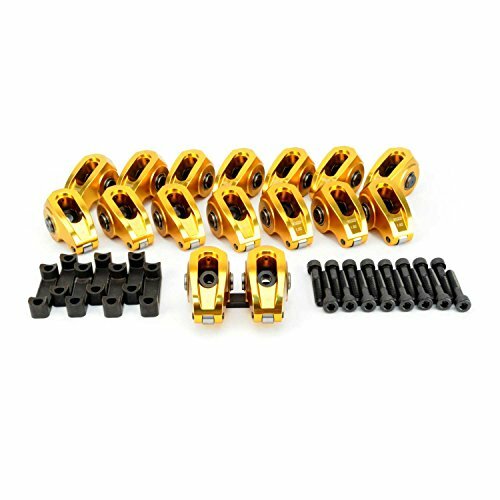 These COMP Cams Ultra-Gold aluminum roller rocker arms with an 8 millimeter stud diameter and 1.82 ratio are designed for GM LS applications. The new modern design features of these Ultra-Gold rockers are proven to withstand extremely aggressive spring pressure and value lift. 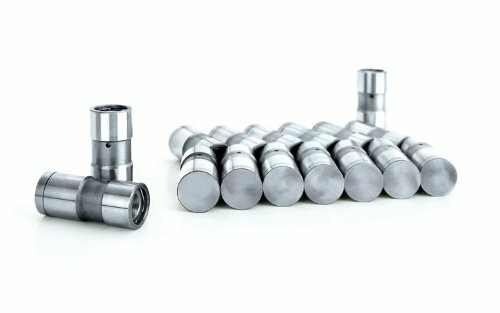 Designed specifically for high performance street and race engines, the Ultra-Gold aluminum rocker arms are precision CNC-machined to strict tolerances. Developed to meet the demands of professional engine builders, these rockers include features never before possible in an aluminum rocker arm. High Energy Hydraulic lifters have a patented constant orifice metering valve that precisely meters oil to the rocker arms. 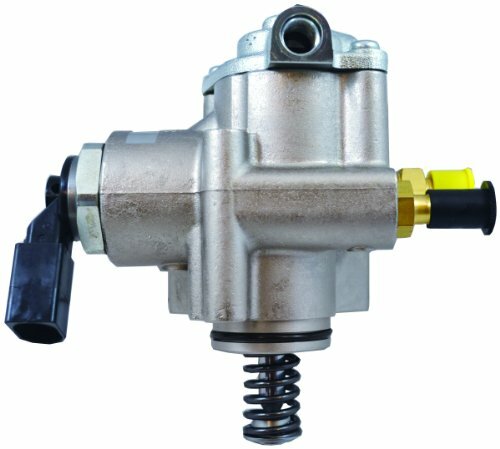 Continuous contact between the metering valve and pushrod seat is maintained, eliminating excessive oiling at high engine speeds. The pushrod seat is made of a special powdered metal iron alloy that is heat-treated for strength and wear resistance. In addition, High Energy Lifters have a lightweight check valve disc that allows for quicker response, which results in increased engine speed before valve float. This check valve disc also maintains added control at all engine speeds and loads. COMP Cams High Energy Hydraulic Lifters also contain a longer piston than conventional hydraulic lifters, which provides more load bearing surface and increases lifter longevity. 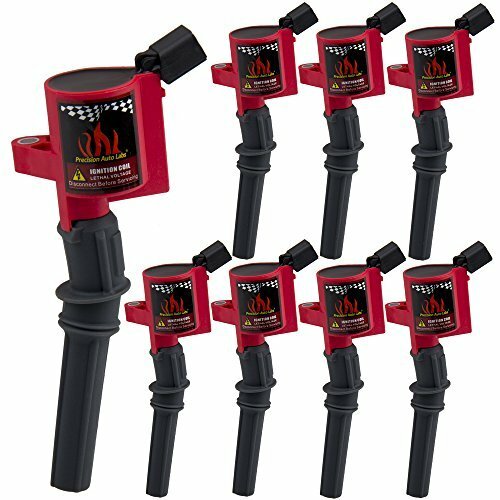 Compare prices on Cams High Performance Valve at Elevelist.com – use promo codes and coupons for best offers and deals. We work hard to get you amazing deals and collect all avail hot offers online and represent it in one place for the customers. Now our visitors can leverage benefits of big brands and heavy discounts available for that day and for famous brands.